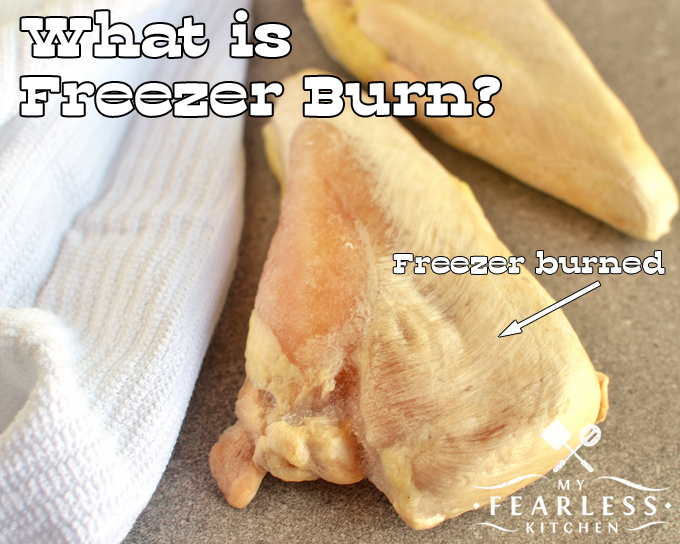 You are here: Home / Kitchen Tips / What is Freezer Burn? Have you ever taken food out of the freezer, and found white spots on the surface? That’s freezer burn. Find out how to prevent it, and what to do about it. Freezer burn is those weird white patches you sometimes see on frozen food. You can guess that the food is freezer burned if you see a lot of ice inside the packaging, like in the photo above. 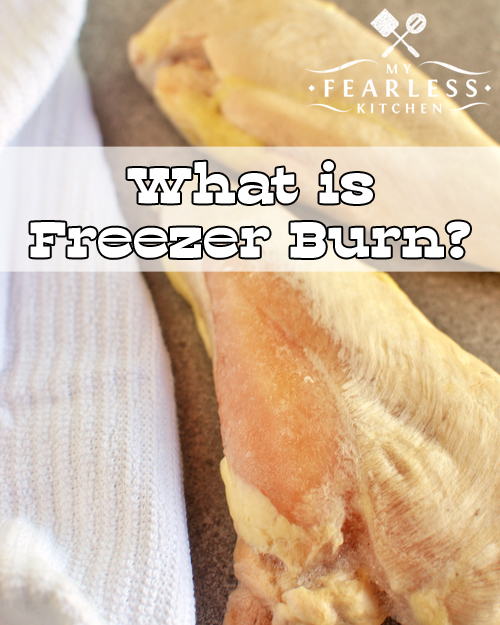 To put it simply, freezer burn is what happens when the food in your freezer dries out. But how in the world does that happen? Isn’t that what freezers are for? Keeping food fresh? Well… yes… but you have to help. In the freezer, air is your enemy. Over time (and we usually freeze things we plan on keeping for a long time), water can escape from frozen foods. This dries the food out. If frozen food isn’t wrapped properly, this water loss happens faster. Freezer burn can also happen if the temperature in your freezer isn’t cold enough or fluctuates. Freezers should be kept at 0 degrees F (-18 degrees C) or lower. Some freezers have a digital temperature setting. If yours doesn’t, use an appliance thermometer like this one to check. To keep the freezer temperature from fluctuating, try to limit the number of times you open the freezer door, and limit the amount of time the door is left open. These will both cause a cycle of warming and cooling that can lead to freezer burn. 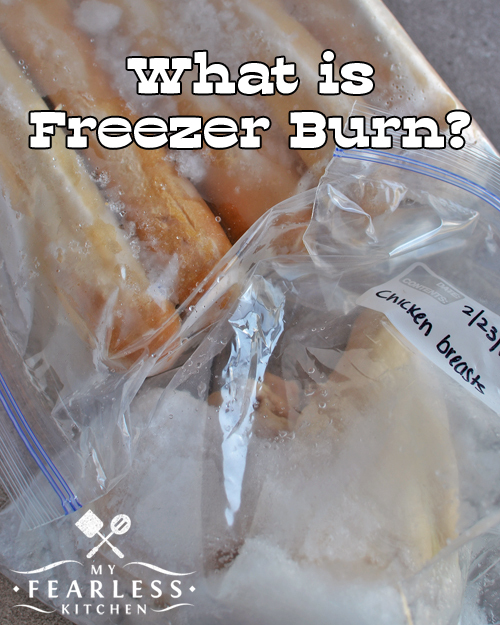 How Do You Prevent Freezer Burn? The best way to prevent freezer burn is to use food from your freezer! I love a good freezer meal as much as the next girl, and I’ll be the first to admit that I’ve forgotten about some things that have been buried way in the back. Keeping a good freezer inventory (like this one) will help you actually use the food that you’ve spent a lot of money and time on. In the meantime, you need to make sure that you package food the right way before you freeze it. I love Ziploc freezer bags. These are perfect for saving everything from single serving size meats, to rice dishes, to soups and broths. They are an amazing invention. BUT. You do need to splurge on the freezer bags, not just the storage bags. Freezer bags are thicker, which means that it takes longer for air to get in and moisture to get out (but it still can happen over time). Remember to squeeze out as much air from the bag as you can before you seal it. If you have something that won’t fit in a freezer bag (like this lasagna), use a layer of professional strength Saran Wrap directly on the food. Press the plastic wrap down onto the food so there is as little air between the food and plastic wrap as possible. Then add a layer of heavy-duty aluminum foil. Don’t forget to label the foil, or you’ll never remember what is in there! I like to write the name of the dish, the date I froze it, and simple cooking instructions so I don’t have to look it up later. If you do a lot of freezing, you might consider buying a FoodSaver vacuum sealer. If you have a small freezer and use things up after only a few weeks or a month, you don’t need a vacuum sealer. But if you buy in bulk, freeze summer produce, or regularly make freezer meals, it might be worth investing in a vacuum sealer. These get almost all the air out of the package (better than you or I could do), and will help your frozen foods keep longer. Can I Eat Freezer Burned Food? Absolutely! Freezer burned food hasn’t “gone bad.” The freezer burn has nothing to do with bacteria or spoilage. It’s just a matter of drying out. You can eat freezer burned food, but it will probably not taste quite as good as fresh food (or properly frozen food). The texture will also change. Freezer burned food is often chewy and tough. Is Freezer Burned Bad For You? No. Freezer burned food is not bad for you. 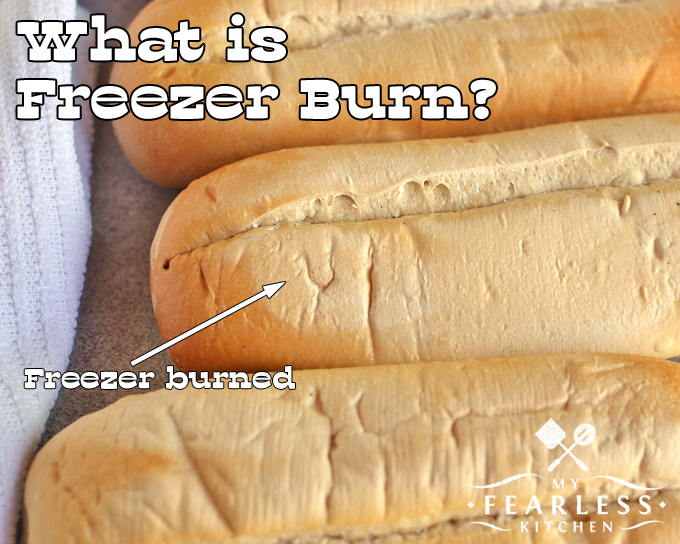 As I mentioned, freezer burn is not from bacteria growth or from spoilage. The food isn’t bad – it just has lost some quality. Freezer burn dries out food, so you’ll find that it is tough and chewy. It may even feel like leather when you touch the freezer burned areas. The USDA recommends cutting away the freezer burned parts of the food. The rest is perfectly fine to eat. (Assuming you have thawed it safely, and followed other food safety precautions during prep and cooking.) If the food is badly freezer burned, it might be a total loss. « What’s the Difference Between Barbecuing and Grilling? Who knew?!?! Not I! Sharing all this great info on Desserts Required’s FB page manana.